Situated in the stunning Tuscany region of Italy, Valle Gaia Campsite is a luxury camping site that is situated beside the Etruscan Riviera. This part of the country is famous for its enchanting natural beauty that boasts gorgeous sandy beaches, islands and valleys. People who book a mobile home at this leading LUX-camp will have plenty of opportunities to explore the surrounding area while enjoying the camping holiday of a lifetime. 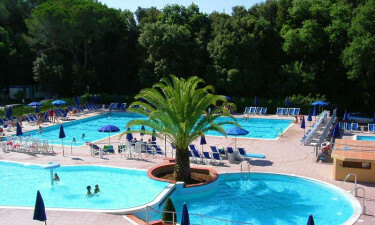 What Makes Valle Gaia Campsite So Special? One of the great things about renting a mobile home at Valle Gaia Campsite is that guests are able to simply relax and unwind. Several sun loungers are set beside the large outdoor swimming pool; this is the perfect place to soak up the sun while the kids splash around. The site also features a large garden with pretty paths winding through it for guests to take a stroll in the early evening. 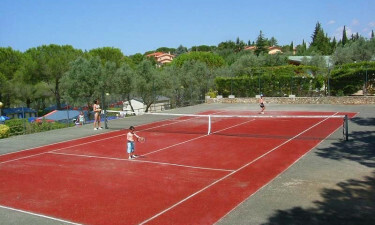 Valle Gaia Campsite prides itself a wide range of facilities that can be found on the site - there are basketball, volleyball and tennis courts for guests to make use of, while the indoor games room is set with table tennis and other sports. The staff also arrange a number of activities for guests of all ages to take part in, such as aqua aerobics and sports matches. Everyone is invited to attend and try something new while on holiday. Valle Gaia Campsite is situated close to the enchanting islands of Capraia, Elba and Gorgona and these make ideal daytrip destinations for a sunny day. The popular cities of Florence, Pisa and Siena are also just a short drive away and visitors will want to take the time to get to know these metropolises with their collections of both ancient and more modern attractions. Special excursions and boat trips are organised by staff, which makes getting to know this picturesque part of Tuscany extremely easy and exciting. 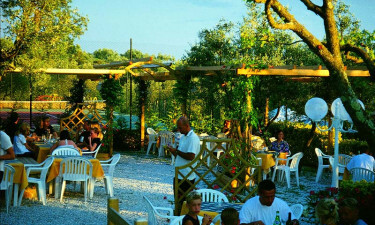 The Robin Hood restaurant is the perfect place for lovers of luxury camping to sample traditional Tuscan cuisine. The restaurant boasts a picturesque outdoor area where guests can sample freshly caught seafood and game dishes, while soaking up views of the garden. Authentic Italian pizza is also served here as well as a good selection of locally produced wines. Charcoal grilling is permitted at Valle Gaia Campsite and guests will be able to purchase goods at the onsite supermarket for the whole family to cook and enjoy together. Those who rent a mobile home will also find that it comes with cooking facilities, while putting together a picnic is a breeze as freshly baked bread and a wide selection of ingredients are also sold at the supermarket.